SEATTLE, Sept. 14, 2018 /PRNewswire/ -- Bruker today announced the introduction of the new preclinical PET/CT Si78 scanner for whole-body molecular imaging at the World Molecular Imaging Congress (www.wmis.org/2018-wmic). It combines Bruker's novel PET and outstanding micro-CT technologies in a single scanner operated by the multi-modality imaging software platform ParaVision™ 360. The PET/CT Si78 is addressing the latest needs of preclinical imaging scientists by combining homogeneous sub-millimeter PET spatial resolution over a large field of view (FoV) with minimal X-ray radiation dose. The whole-body micro-CT scan times can be shorter than seven seconds, which is important for animal welfare. The PET/CT Si78 next-generation nuclear molecular imaging (NMI) system combines Bruker's revolutionary 'total body' PET detector, which provides sub-millimeter spatial resolution over a large field-of-view and exceptional PET sensitivity with a very fast, low dose and high-resolution micro-CT. The PET/CT Si78 also comes with an unsurpassed user experience due to the forward thinking ParaVision 360 software, which seamlessly integrates PET/CT workflows from animal positioning and imaging to data processing and management. This approach supports reproducibility and consistent PET quantification to facilitate global preclinical discovery, development and validation processes. 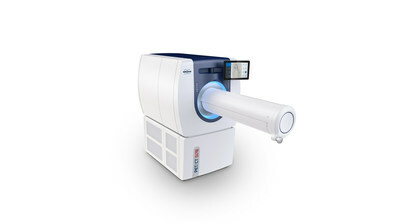 Sonica van Wyk, Bruker's Market Product Manager for Nuclear Molecular Imaging, stated: "The outstanding PET performance and very low dose CT of the Si78, combined with the ease of use and integrated workflow ensure data accuracy and reproducibility, which are key for multi-modal research labs." Dr. Michael Heidenreich, Bruker's Preclinical Nuclear Molecular Imaging VP, commented: "With the introduction of the PET/CT Si78, we have achieved a major milestone in our strategy to extend our portfolio with sophisticated multimodal imaging solutions. By combining the best technologies and software platform, we are enabling the molecular imaging community to conduct better research, leading to new translational discoveries. Functional, structural and metabolic assessments are now becoming easier. The PET/CT Si78 has already demonstrated excellent results in oncology, neurology, cardiovascular, lung and bone imaging."